Firma del MOU entre Nuremberg Messe y Acermex. En días pasados, durante la Asamblea Anual de Afiliados ACERMEX, se llevó a cabo la firma del Memorándum de Entendimiento entre Nuremberg Messe y ACERMEX. Este acuerdo reconoce a Acermex como socio estratégico de la empresa alemana para sus próximos proyectos en México. La Nuremberg Messe es una empresa productora ferias y eventos internacionales para diferentes industrias, entre ellas la industria cervecera. Precisamente esta empresa es la encargada de desarrollar los eventos Beviale y Braubeviale alrededor del mundo. Actualmente estos eventos se realizan en Alemania, Italia, Brasil, India, China y para 2020 se espera la primera edición en México dentro del Centro Banamex. Con la presencia de Rolf Keller y Tanja Schöniger representantes de Nuremberg Messe, Antonio Barrera Director de B&N Exposiciones , Nicolás Madáhuar presidente de la Asociación, Bernardo Staines de la Comisión de eventos y dueño de la cervecería Wilstain, Paz Austin directora general de Acermex se llevó a cabo la firma del MOU que compartimos con ustedes.  Acermex is a top representative of the Mexican independent craftbeer movement. Acermex seeks and encourage the correct practices in the national market and the growth and diversification of the industry. NürnbergMesse GmbH through its Beviale Family, is a key player in the international development of the craftdrinks movement and industry. NürnbergMesse GmbH through its Beviale Family is an international meeting place for the exchange of knowledge, generation of ideas and driving new business. NürnbergMesse GmbH through its Beviale Family focuses on opening business and growth opportunities in each of its international centers. Within the framework of the annual Acermex Affiliate Assembly, on March 22 of 2019, the collaboration between both parties will be ratified. The Beviale project will be presented to the members of Acermex and to the national press. Acermex may wish to support the Beviale during its official presentation in Mexico through the press conference that the group organizes. Barrera y Nogueira, S. De R.L. De C.V may wish to encourage the presence of Acermex and its affiliates at BrauBeviale 2019, through a sponsorship to set up a Mexican craftbeer pavilion during the event. Barrera and Nogueira, S. De R.L. De C.V may wish to support Acermex affiliates to participate in the Eurostar2020 Cup. 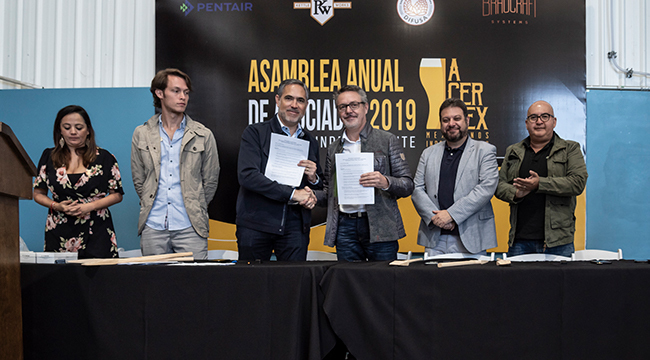 Both parties may wish to explore the opportunity to collaborate by carrying out “Beer Week 2020” framing the Beviale México 2020 and the Acermex beer festival. This collaboration could be considered as a partnership and / or a commercial alliance. Both parties wish to promote academic and research development in the Mexican craft industry, through a congress and seminar within the framework of “Beer Week 2020”. This collaboration could be considered as a partnership and / or a commercial alliance. The Beviale event will come to Mexico highlighting its launch in 2020, Acermex could wish to substantially support the development of this event through its network of contacts and its significance in the national market. Once the dates of the Beviale 2020 and the Acermex beer festival are defined within the framework of “Beer Week 2020”, both parties may wish to carry out a national and international communication campaign jointly. With the aim of promoting both events. The scheduling of events and press conferences for the common 2020 objectives will be established once the scope of the collaboration proposals expressed in this document has been defined. The parties recognize this MOU as a basis for ongoing discussions and collaboration to advance the mutual benefits, shared interests, and friendship of the parties, and agree that nothing in the MOU will give rise to any legally binding or enforceable obligation, liability or agreement.